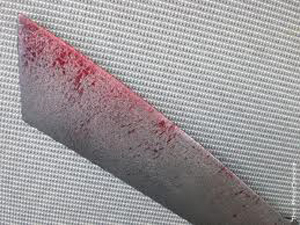 All hell let loose after a 29 year old young man named Trust Moyo killed his 61-year-old father Mbolandi Moyo of Pumula North suburb by strangling him to death with a wire in Zimbabwe's Bulawayo. According to neighbours, Trust and Moyo were always at loggerheads, and they were tired of intervening in their disputes. On the said day of the incident Moyo had attempted to hit Trust with the wire , and Trust got a hold of it and killed his father. Trust also went on to gouge his father's eyes with a screwdriver and cooked a meal for himself with the body parts. The local community is in a state of complete shock and disbelief . The father and son were believed to be engaged in an on-going dispute about cattle.